We are volunteer driven! Get involved and help us to protect our American trails for future generations. Put your skills to work and Join a Back Country Horseman Chapter, be part of a work party to clear your favorite trail, teach Leave No Trace ethics, get to know your local forest manager and complete a trail project, motivate your friends to help, become a leader, start a state or chapter organization, learn a skill to help us, or make a donation! Find your local chapter and join! We are a group of dedicated equestrians who love to ride and explore new trails in our respective areas. We are also inter-related across the country so when you travel anywhere in the country you’ll always have like-minded friends to ride with! When we come across impediments in our trails, we dispatch a workgroup to clear that trail for all user groups. You can be a part of these workgroups if that appeals to you, but there is no pressure to do so. We welcome riders of all types, ages, and interests into our chapters! We urge you to enter your zip code on the chapter locator to find the nearest chapter to you. See you on the trail. Want to lead a group of volunteers on a project? 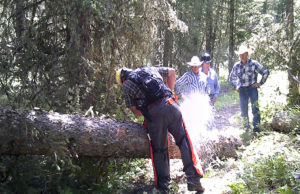 We provide training to help you get started and make contact with local forest management agencies. Forming a BCH organization is not difficult; however, there are a number of requirements. 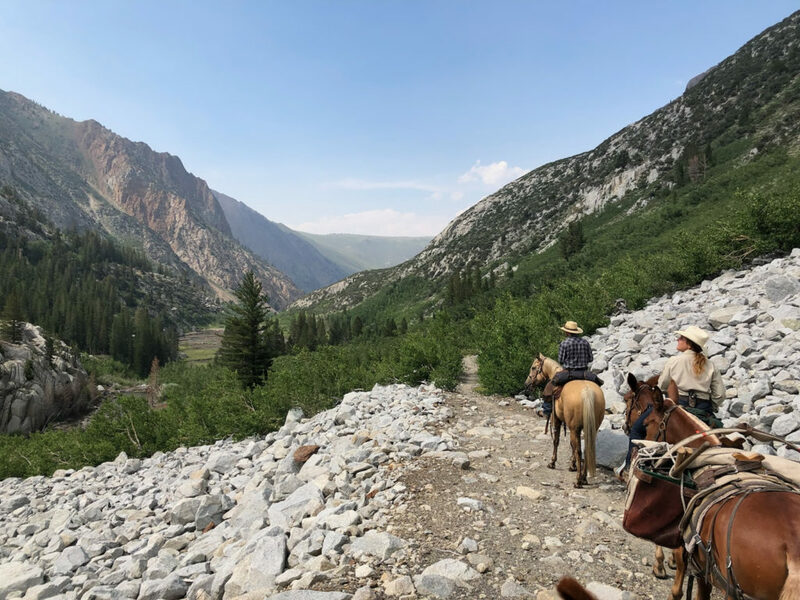 First, those interested in creating an organization must subscribe to the objectives and the purposes of the Back Country Horsemen of America as outlined on page 7. Those purposes do not preclude other interests, but a saddle club that may take an occasional trail ride is not a BCHA organization. There are two organizational classifications under the BCH mantle. A state organization is one or more membership chapters within a state, with a minimum of 25 members and no less than 15 members in any one membership unit. To become an official BCHA state organization, the members must ban together, approve by-laws, make application and receive formal acceptance from the National Board of Directors of BCHA. State organizations have voting rights on the National Board of Directors of BCHA. An affiliate organization is a single membership organization within a state which does not have an official BCH state organization. An affiliate must have a minimum of 15 members. To become an official BCH affiliate, a membership organization must make application and receive formal acceptance from the National Board of Directors of BCHA. Affiliates have a voice but no voting rights on the National Board of Directors. A single membership organization cannot become a stand-alone affiliate if its state already has a state organization. It can only join BCH as a chapter of that state. Within two years after becoming an affiliate, that group must meet the requirements and make application to become a state organization as listed in #1. They then become “chapters” of their state organization. To find a chapter in your area, enter the information below and then follow the links to contact that state/chapter. If you are unable to find a BCH chapter in your area, you can become a member at large. Please email your request to, ExecSecretary@bcha.org. Enter your location or if you would like to search from a different location, please enter an address (‘Address, city, state’ or ‘Address, city, Zip, or Zip). Become a member at large of Back Country Horsemen of America! 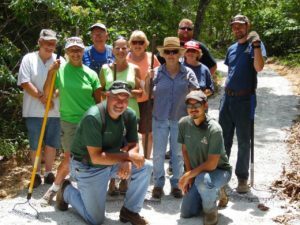 All around America, BCHA volunteer members contribute thousands of hours each year keeping trails maintained and open on federal and state owned public land. Yet there is an overwhelming crisis caused by the trail-maintenance backlog on our National Forests. In 2014 the Government Accountability Office (GAO) reported that U.S. Forest Service is responsible for 158,000 miles of trails throughout 155 National Forests and National Grasslands. Yet in 2014 only one-quarter of its trail miles meet agency standards for public use. This “backlog” in trail maintenance has only grown worse over the years. Trail users have witnessed deteriorating condition of forest trails that, in many cases, prevent public access as a result of their unsafe or impassible condition. Unfortunately for all trail users. Congress continues to view public lands funding as a low priority. BCHA and similar organizations will be expected to maintain more trail miles each year. If BCHA and others do not provide this maintenance service, trails will grow over from neglect and public access will become increasingly limited. 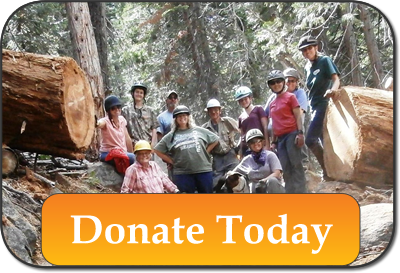 Partner with us and our amazing volunteer members by donating to the BCHA TRAILS FOREVER FUND. This fund supports the growth and future of BCHA, allowing us to continue our work nationally to protect trails. The TRAILS FOREVER FUND provides a way for corporate sponsors, philanthropic foundations, and you the general public to share the responsibility for keeping trails open for everyone. It’s easy to make a tax deductible donation to the Trails Forever Fund, the General Fund, BCHA Spur Fund, the BCHA Education Foundation, provide for a donation through your estate, or make a once a year donation is easy. For corporate sponsors and philanthropic foundations, your participation in this fund shows your interest in keeping America’s treasured public lands intact for future generations, and also demonstrates your interest in promoting healthy lifestyles in the great outdoors. Whether or not you’ve ever set foot on a trail, we know you want to ensure your kids or grandkids will have the opportunity. 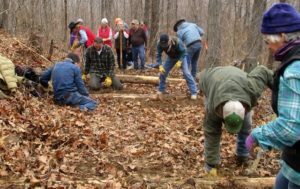 To meet today’s challenges and future needs, you can help build a stronger BCHA with greater capacity to help bridge the gap in the public lands trail maintenance backlog. Please help us by donating today! All Donations are Tax Deductible. The TRAILS FOREVER FUND allows BCHA to continue to save and protect our American trails for future generations. Current BCHA members, corporations and sponsors, and the “trail loving” public are invited to donate to help keep our access to the natural world through healthy, well-maintained trails. BCHA is successful only through its grassroots chapters, who do the work on the ground and develop relationships with land managers. Help get the TRAILS FOREVER FUND rolling… donate to share your passion for our nation’s trails. Find out if your company will offer matching support for your giving dollars or volunteer effort please open the full list to download or use the search below. You may want to designate the Trails Forever Fund or other donations in your Estate Plan.